50 STATES is an ongoing fifty-part series of installations created in response to recently uncovered or unappreciated LGBTQ2 histories from each state. We are building on the recent groundbreaking work of historians, archivists, and activists to create a visual/conceptual framework for the sprawling and diverse narratives that make up our queer national heritage. Equal parts visual art and social action, 50 STATES is an undertaking that we believe is vitally important in this time when society's views of gender and sexuality are both progressing at an astonishing pace and provoking deeply troubling social and legislative backlashes. 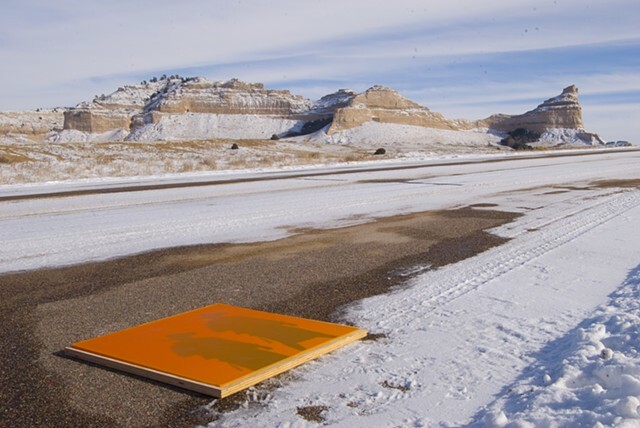 image: creating a panel for 50 STATES: WYOMING. Scotts Bluff, Nebraska.